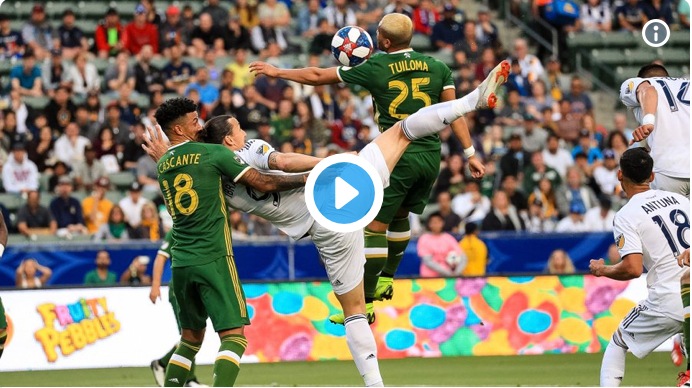 Zlatan Ibrahimovc scored twice from the white spot in his return to LA Galaxy from injury to Portland Timbers in victory 2-1. The 37-year-old striker almost opened the game when he hit the heel with a heel, but the pile denied the goal of the year. At that goal he could have been a potential candidate for the MLS goal of the year but also beyond. However, the Swede would score from the white spot in the first half but Portland's Jeremy Ebobisse equalized the result. Ibrahimovic in the second half and would score a penalty, this time with 'Penalty'. After the match he shared the autograph, but also donated the shirt to a boy.